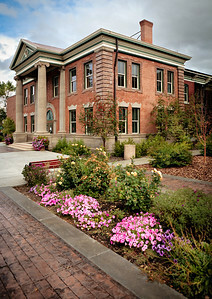 UINTA COUNTY COURT COMPLEX - SCOTT P. EVANS ARCHITECT & ASSOC. P.C. 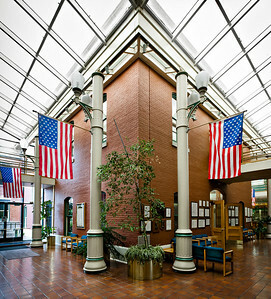 The Uinta County Complex, completed in 1984, is a modern addition built around an historic courthouse. The old and new were separated by a unique skylight that brought warm daylight into the interior of the building. 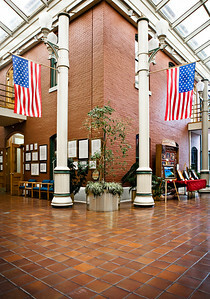 The columns supporting the skylight double as street lamps and roof drains. The complex includes 2 court sets, and all county government functions including; county clerk, assessor, planning & zoning, attorney, treasurer and a complete emergency operation center. This is the finest facility in the city and is the pride of its citizens.